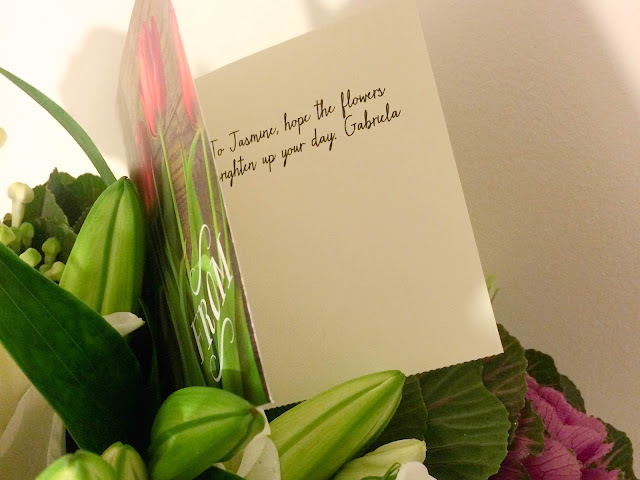 Nothing puts a girl in a better mood than receiving flowers straight to her doorstep! With Prestige Flowers, this is more than possible! If you're wanting to treat your other half or even just treat yourself, you can get a freshly cut, hand-picked and selected bouquet sent straight to your door the very next day! 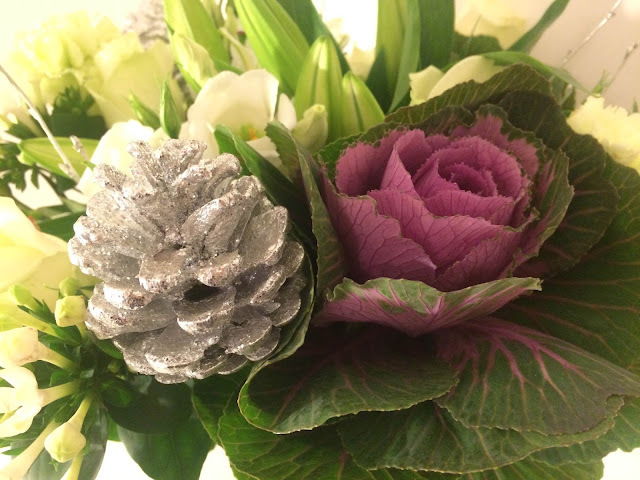 Gabriela from Prestige Flowers was lovely enough to send me this amazingly beaut arrangement with a perfectly fitting Winter/Christmas theme. Full of White Roses, silver glittery Pine Cones, Lillies, Curly Willow, Carnations, and Brassica - a very unusual, but very striking addition to this wintery treat. 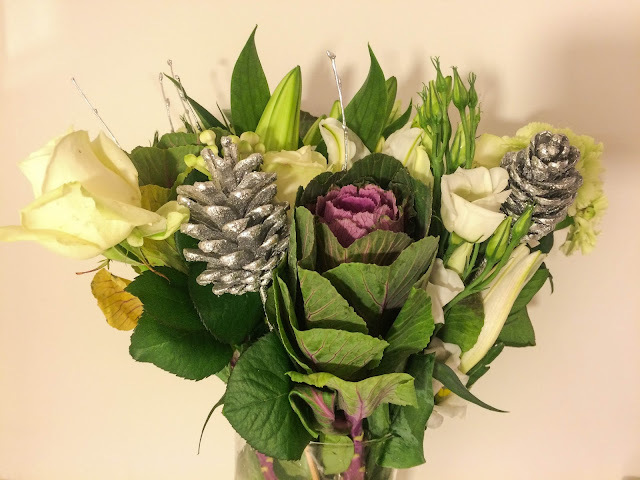 Next day flowers are ideal for hundreds of occasions, whether its a birthday, an anniversary, or just a nice treat, you can find loads of bouquets here, full of vibrant, beautifully arranged and perfectly seasonal floral gifts. Being recently engaged, I cannot help but look at bouquets and colour themes etc. 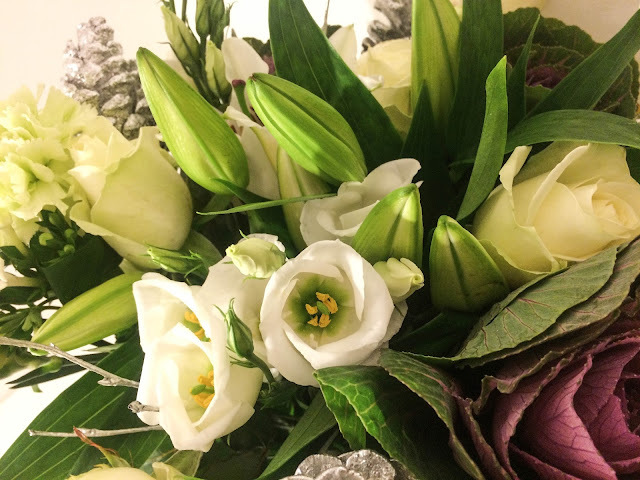 I cannot think of a more perfect colour scheme than white and silver, like the flowers in bouquet. Super excited to start looking at potential flowers, and bouquets such as this will really help me with my selection process (cue 'bridezilla' comments.. tehe). 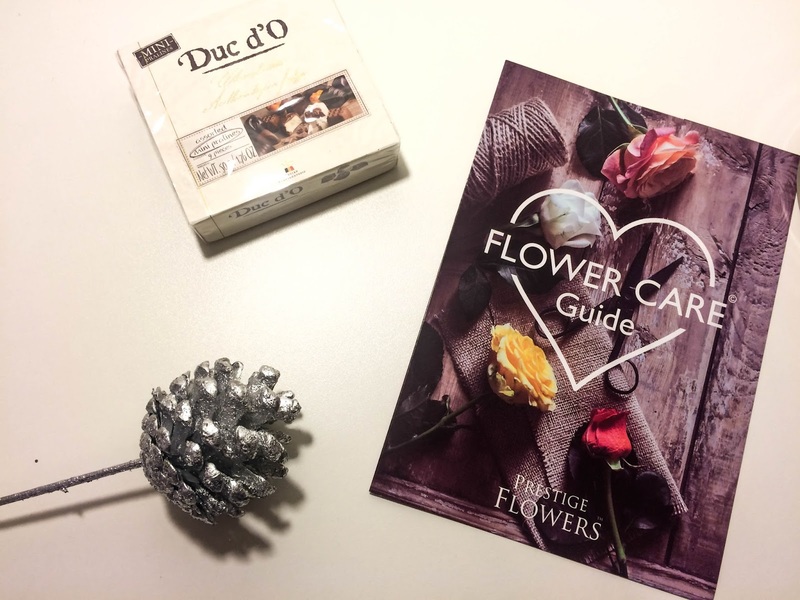 For next day flowers, that come complete with a flower care guide and a little box of chocolates.. which may I add.. are to die for! No sharing there! What's your favourite flower? Mine's got to be the classic rose! Let me know in the comments below! Their bouquets are thoughtful and elegant. Truly a Flower Delivery gem in the neighborhood. The prices are very reasonable. Definitely recommend paying a visit if you need flowers.